Parkview Manor is located at 235 Avenida Lobeiro in San Clemente, California. 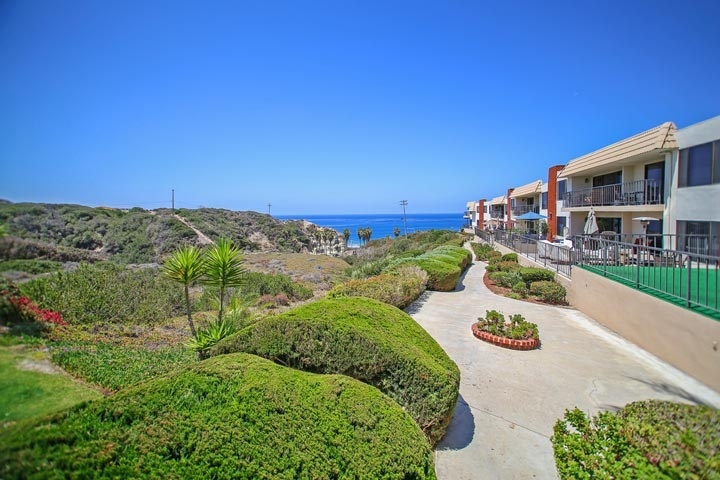 The condos were originally built in 1974 and ideally situated overlooking the ocean. There are a total of 36 units in this complex with a large majority of them offering nice ocean views. The Calafia Beach Park is within walking distance and is a popular spot to take the many beach walking trails that lead to the San Clemente Pier area. The condos here are under a homeowners association with monthly dues which includes use of the community pool, spa and covers building insurance and trash pickup. Many purchase these condos are second residences or for vacation rental purposes. Below are the current condos for sale in Parkview Manor. Questions regarding this community and any of these condos for sale? Please contact us at 888-990-7111 today.